Walker is an internationally celebrated, prolific writer, poet, and activist whose books include seven novels, four collections of short stories, four children’s books, and volumes of essays and poetry. 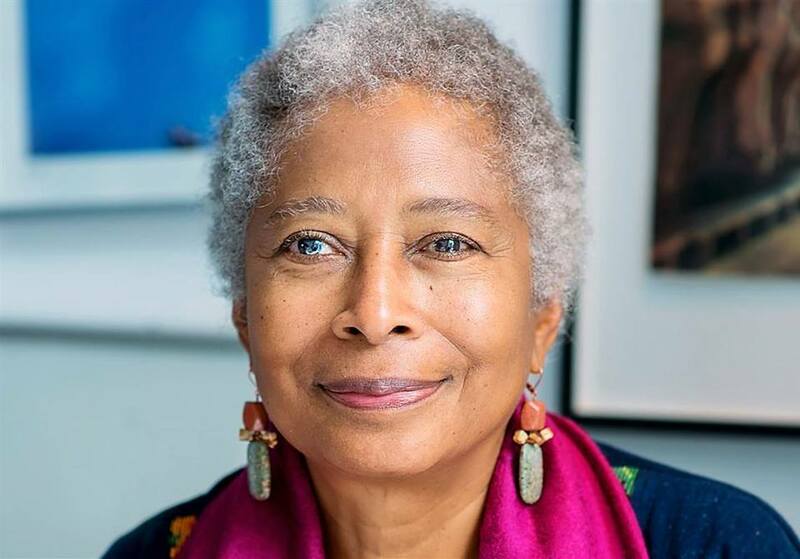 Alice Walker’s third and most well-known novel, The Color Purple, won the Pulitzer Prize for Fiction and the National Book Award in 1983, making Walker the first Black woman to win both honors. The Color Purple has since been adapted for the silver screen and the Broadway stage. Walker’s list of bestsellers also includes The Temple of My Familiar (1989), By the Light of My Father’s Smile (1998), and Possessing the Secret of Joy (1992) which was released to great acclaim and controversy for its exploration of the effects of female genital mutilation. Although her work often focuses on gender and sexuality through a feminist lens, Walker considers herself a “Womanist,” a self-coined term that differs from “feminist,” referring instead to “someone who appreciates women’s culture, emotions, and character.” (Poetry Foundation). Walker’s later work includes several meditations on spirituality and current events including Now Is the Time to Open Your Heart (2004) and We Are the Ones We Have Been Waiting For (2006). This entry was posted on August 7, 2018 by Seattle Black Feminists in Uncategorized and tagged Alice Walker, Benaroya Hall, Downtown, Womanism, Womanist.